Two unlikely collaborators, Sting and Shaggy, are teaming up for a 4/20 treat. You've seen collaboration albums in the hip-hop game, like Drake and Future's What A Time To Be Alive, or Offset & 21 Savage's Without Warning, or Travis Scott & Quavo's Huncho Jack, Jack Huncho. Now, it looks like we're getting one from two iconic artists from disparate backgrounds - Sting and Shaggy. The duo have officially joined forces in order to release their new album, 44/876, on 4/20, which probably says a lot about the project's vibe and intended audience. Today, Sting and Shaggy spoke with Rolling Stone about the project, revealing a little bit about what to expect, how it came about, and more. They also dropped off the album's lead single, "Don't Make Me Wait," which you can check out below. "Don't Make Me Wait" is an important single, as it essentially kickstarted the entire project. When Sting first heard it, he immediately reached out to Shaggy in the studio, claiming "as far as I know, that sounds like a hit to me. I sang on the chorus, and then we tried to figure out a way to make it more of me than just a chorus, so we got a verse together." The pair have apparently become great friends throughout the recording process, and they even spent some time in Jamaica together. 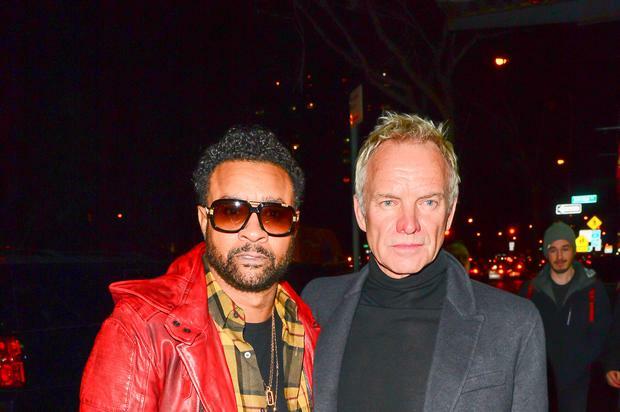 "This guy," says Sting, pointing to Shaggy, "he's like the pope of Jamaica." For more information about the upcoming album, check out the feature in full, and mark your calendars for 4/20.